I overheard another Film Fest audience member refer to this as “Macbeth meets Mad Max.” Oh, if ONLY. I would’ve been happy if this film possessed even SOME of Mad Max’ drive, energy and ingenuity. Alas, other than the opening and closing battle scenes, this is one dull Macbeth. 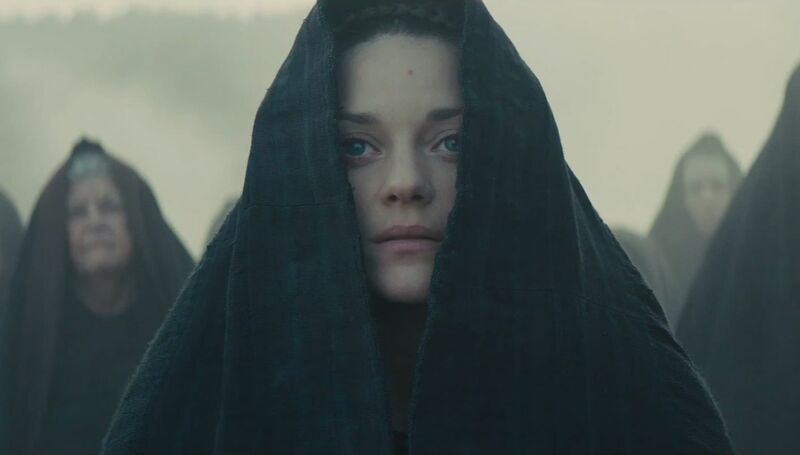 Kurzel has created a Macbeth where the eponymous character seems to have succumbed to pitiful insanity, rather than being overtaken by the lust of ambition. His Lady Macbeth becomes highly rational VERY early in the story, and never seems to have remotely lost her grip on reality. And the witches – well they have all the spine-tingling eeriness of a few extras on “Game of Thrones”. Just a plethora of strange choices that do not help the story in any way. Worse, they make the ending, which should shock us, seem not just inevitable, but obvious and overlong – meandering, even – in the telling. As for the acting, listen, Fassbender is a brilliant film actor, but he seems totally untethered here…both in his approach and in his accent. He’s a joy to listen to and to look at, but you’re never fully invested in his Macbeth. Cotillard fares much better. She’s entrancing, austere, controlled, and eerie. Also on the positive side of the ledger, it’s beautifully shot in some of the most beautiful places in the Highlands. And the battle scenes feel quite real…but there are only a couple of them, unfortunately. It’s important that Shakespeare is retold in a medium that will expose people to the language, and you should see it for that reason alone…that Billy guy can WRITE! But I’m sure this seemed like a much better idea in the pitch session.